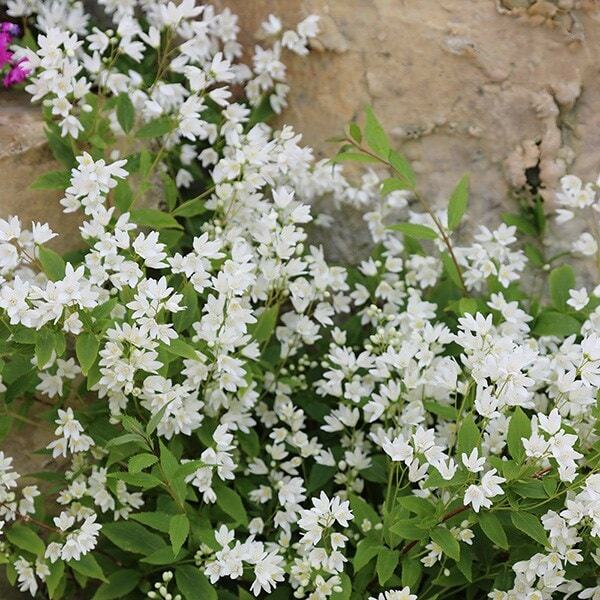 In late spring and early summer, this handsome deciduous shrub really packs a punch, as that is when the leafy stems are topped with generous clusters of small white flowers. Forming a low, spreading mound, it is relatively compact but wonderfully showy - so ideal for smaller gardens. Garden care: To encourage a bushy habit tip-prune young plants, either by pinching off the tips of soft shoots or by reducing long leading or lateral shoots by a third. Immediately after flowering, cut back the stems that have flowered to one or two healthy buds. 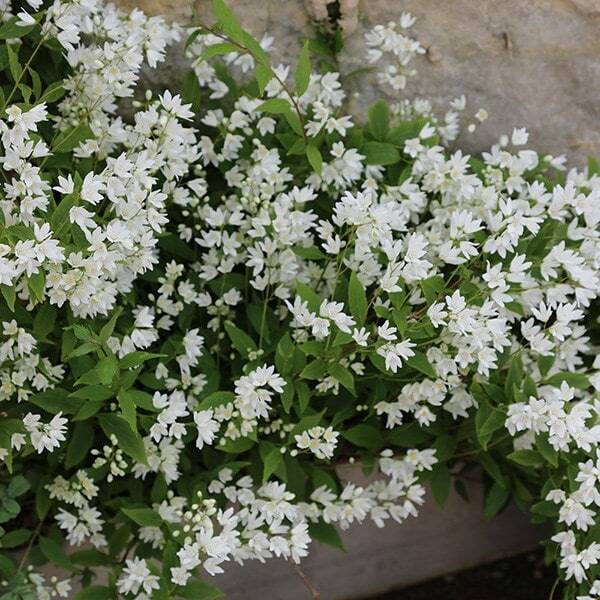 Is Deutzia suitable for growing in a large pot on a sunny patio, in Huddersfield? (I'm asking this question on behalf of a friend). This is a compact form, so it will be fine in a pot, provided the pot is a generous size, and the plant is kept well fed and watered.